Recently we were looking at our completed ticket count for the month and trying to gauge the user’s satisfactory level in how our tickets are completed. It is very difficult for us to currently receive end user constructive feedback after a ticket has been resolved as generally, our resolution procedure is to enter a public facing note to the end user informing them their issue has been resolved and to let us know if they encounter any additional issues. It is also difficult for us to use the average accumulated time for completing a ticket across the board in a month as many of our tickets include rescheduling or working within a time frame that is convenient for the client although that ticket submitted might have been done so with the utmost of urgency. The fact is on many occasions when you do reach out to the user with the intention of resolving the issue they are too busy to have it looked at right away. Our IT Outsourcing Help Desk Services needed a way to ensure that we receive constructive feedback from end users on not necessarily if their issue was resolved but other areas such as agent interaction, user experience and generally how the end user felt about the process. Of course, a lot of this would be determined by if they are satisfied with the technical resolution of their issue. We thought how best can ensure the end user is not inconvenienced by having to give us feedback on an issue is resolved. Here are a couple of tweaks we did to our ticketing system to allow us to receive constructive feedback. 1. Once a ticket is completed, we try to close the ticket with the end user on the phone. This allows us to ask the user if they received a confirmation email that the issue is resolved. We ask them to reply back to the confirmation issue so the ticket can be closed. In the confirmation email, there is are two quick questions that are asked that are related to the quality of our techs service provided. This allows them to give a quick response in the process of closing their ticket. 2. If we are unable to reach the end user to close the ticket via phone we send the closer email twice. Once on the ticket being marked as resolved and a week later as a prompt to let us know if they still encounter issues. This works out to be a win – win as we are able to do quality control at the same time as ensuring issue resolution and fixes are permanent. 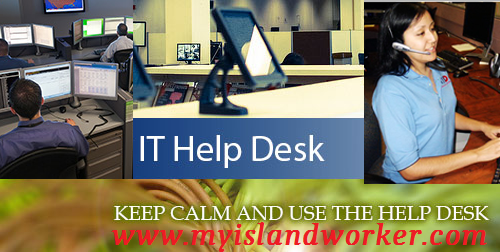 Whatever method your IT Helpdesk uses is fine as long as there is some mechanism in place to ensure quality feedback is given by your end users.